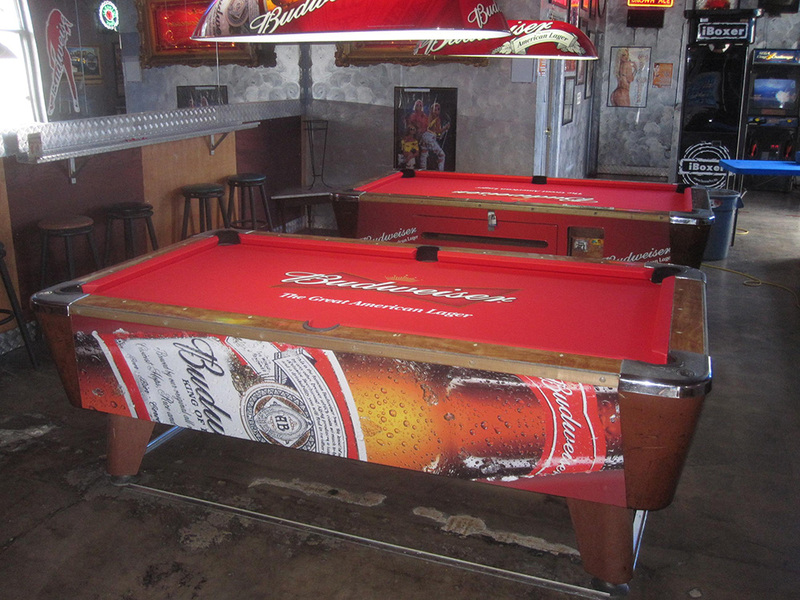 We were recently hired to refelt the pool tables at a sports bar in Costa Mesa, CA called Eye Candy Bikini Bar. 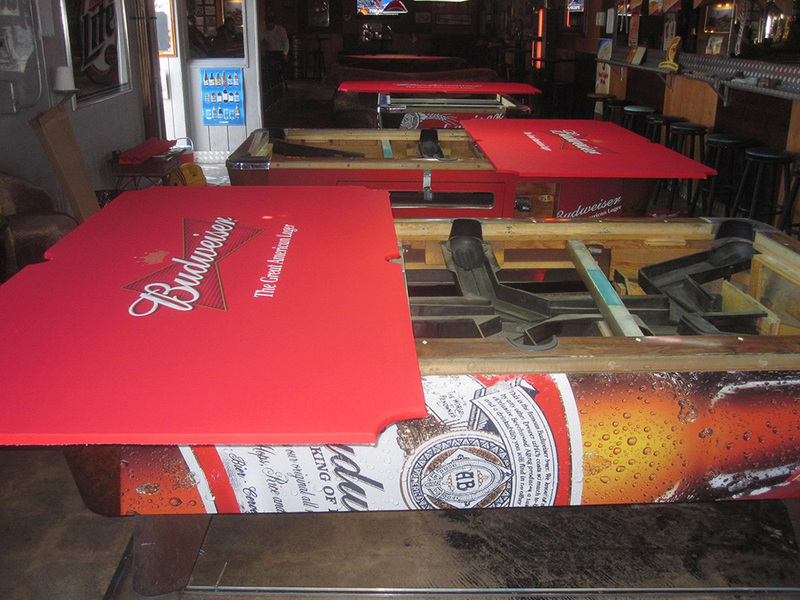 Apparently this Costa Mesa bar is one of Straub Distributing’s best accounts. 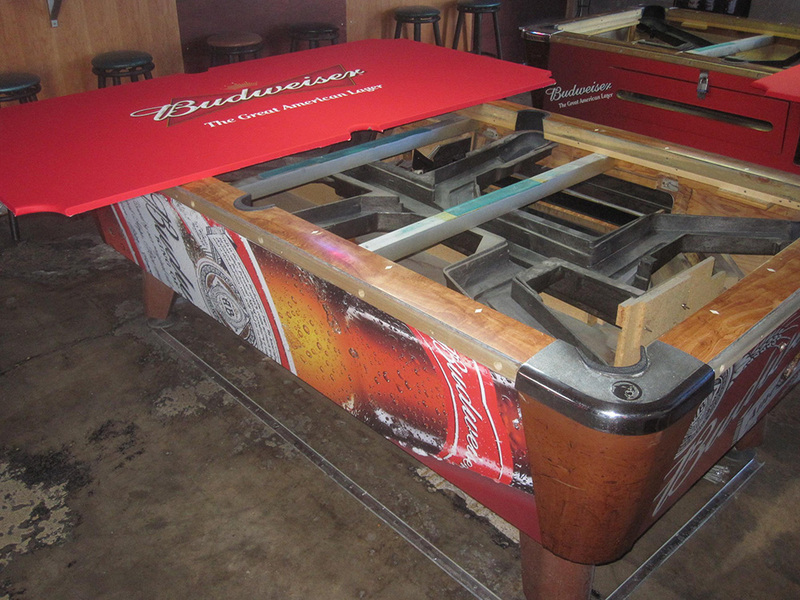 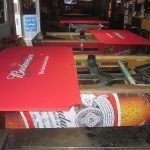 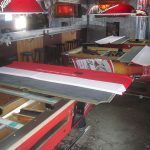 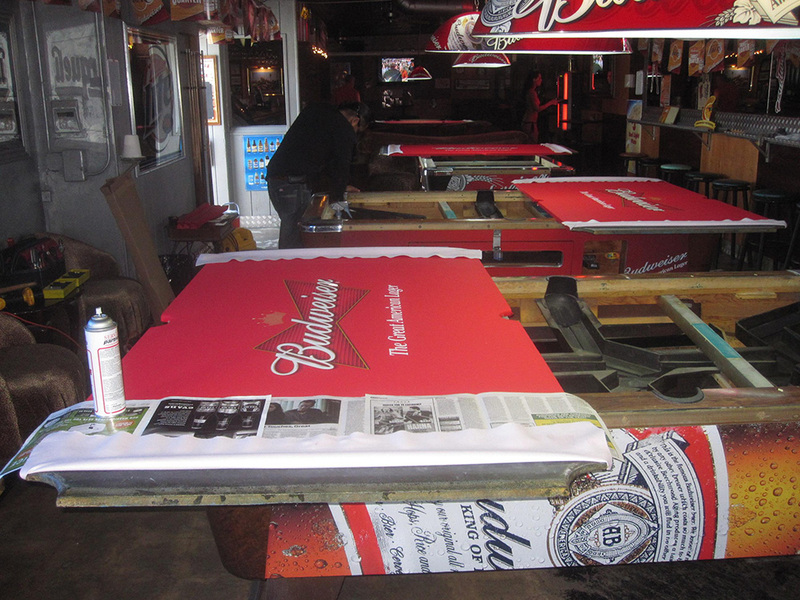 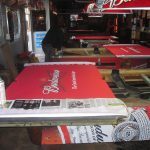 They ordered the custom pool table cloth and is also reimbursing the bar’s owner for the installation. 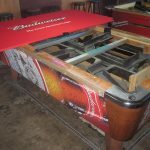 The last time we refelted these tables was about a year and a half ago. 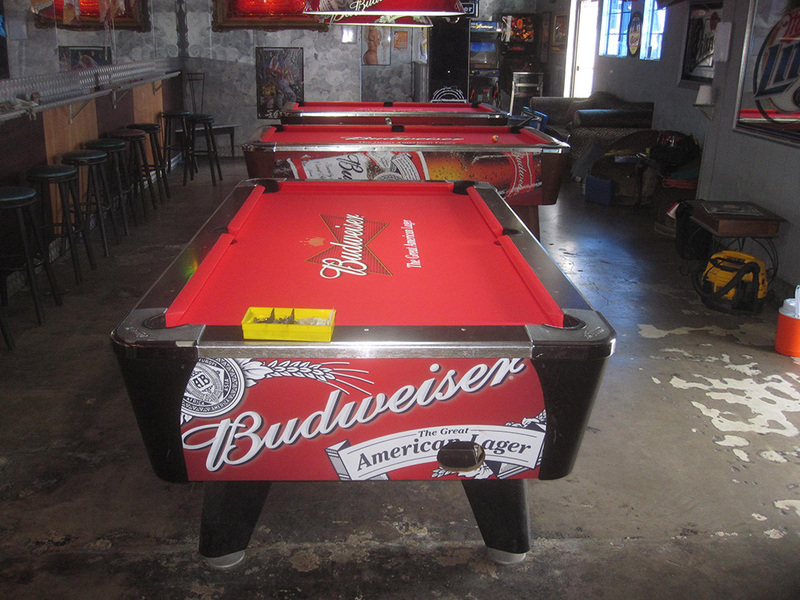 At that time, Ed, the owner of the bar had us refelt the pool tables with electric blue felt on the slate. 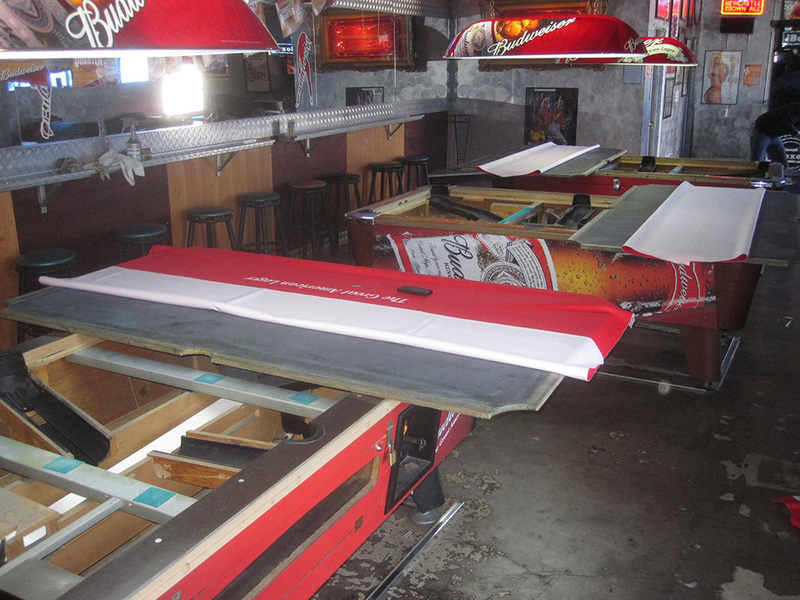 The rails were covered in one of our animal style prints, called ocelot. 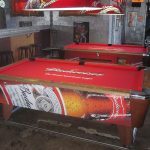 If you ever find yourself in Costa Mesa and want eye full of beautiful girls and a icy cold Budweiser then eye candy bikini bar is your place. 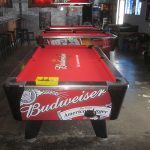 Their address is 1562 Newport Bl., Costa Mesa, CA 92627 or www.eyecandybikinibar.com.